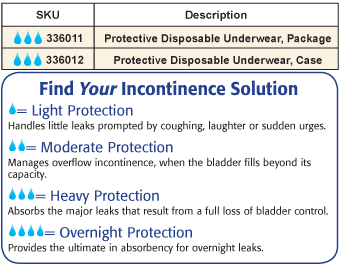 Pull on discreet, disposable protection that fits and feels like regular underwear. Measure around waist to determine size as indicated in chart. Made in USA. Specify size: Medium (34”-36”), Large (44”-54”) or XL (48”-66”). 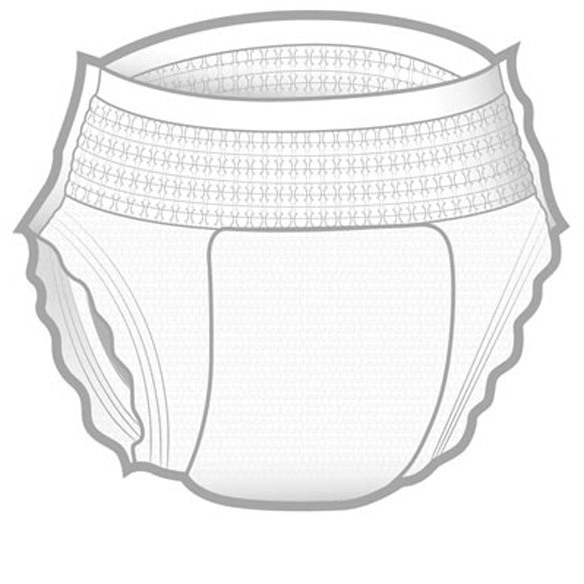 We have tried numerous briefs over the years and tried these a couple years ago. The experience was so good, especially for nighttime, that we order them by the case and have used nothing else since. We have tried at least six different brands of briefs for my VERY incontinent wife. We are talking at least 64 oz every six or so hours as she has to say hydrated. All briefs need a few extra pads for that kind of volume, but these are the most comfortable and less leaking ones you can get. Best fit and leakage protection i have found. Have used this product for many years. I use this product with other pads lining it since I have extremely incontinence. They fit well especially god seal around the legs. These are the ONLY briefs I have used for the past 3 years or so. Do not believe that I have ever purchased this product in the past. Want to try to check comfort, etc. Very convenient to wear and comfortable. Great to wear when going on trips. Saves doing underwear laundry. Best fit and leakage protection around legs especially of any brief I have tried. Security! ! ! Comfort, easy on/off. This product describes similar adequacy as well as good value, as August 20, 2015 purchase had also. how many in a case? Is it possible to get a sample in size M? BEST ANSWER: Thank you for your question. Unfortunately we do not send out samples. We hope this information will be of help to you. Do you hav 4x size? BEST ANSWER: Thank you for your question. The larges size we have is XL, it fits 48" x 66" waists. We hope this information will be of help to you. DON'T YOU HAVE SIZE 2X IN WOMEN PROTECTIVE DISPOSABLE UNDERWEAR, CASE? BEST ANSWER: Thank you for your question. 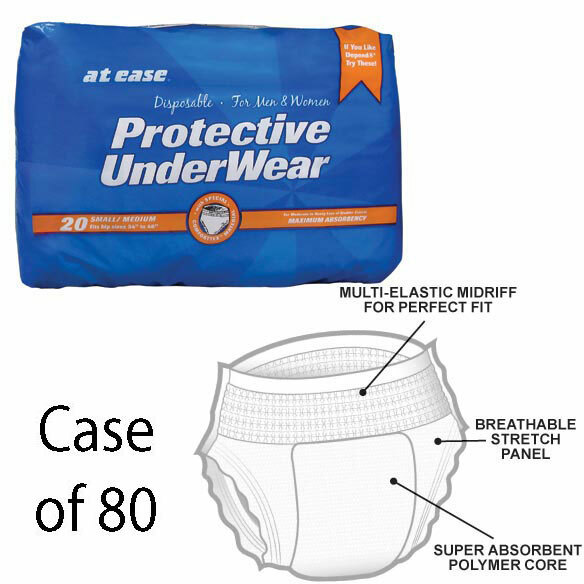 Unfortunately, we we only carry the Protective Disposable Underwear Case in Medium, Large and Extra Large we do not offer it in any other sizes. We hope this information will be of help to you.